Paradoxically, technology helps us save part of nature after the advancement of industry and tech triggered great levels of pollution, causing global warming. Researchers argue that saving the Great Barrier Reef will no longer be just a wish. Experts developed an autonomous floating robot that features sensors. This will be used to monitor the waters around the Great Barrier Reef. The vehicle was named the Wave Glider. Scientists have tested the robot which traveled a seven-day 200 nautical mile trial voyage. During this test, the robot collected information for the Australian Institute of Marine Science (AIMS). Furthermore, the test expedition’s purpose was to collect oceanographic and meteorological data that needed to be delivered to the shore in real time. Dr. Lyndon Llewelyn is the head of data and technology innovation at AIMS. He indicates that he together with his team wanted to observe an area of about 350 square kilometers and 60 meters deep. Even if this is a great challenge for their new device, AIMS is confident that their robot will be helpful. Their intention is to modernize the way they observe certain phenomena. Hence, they developed this technology which operates in marine environments. Most likely, this is one of the most mature technologies developed with this purpose. It will serve as a crucial tool to continue their mission, helping them monitor the Great Barrier Reef. The robot features two different parts. One of them is a three-meter surfboard. It is covered in solar panels and holds some instruments and sensors. This surfboard features a wave-powered underwater part placed on a cord of about 8 meters that pulls it along. Specialists placed a mini-weather station aboard the robot for its first trial. Therefore, experts installed wave monitors to measure wave climate, instruments to measure cleanliness, salinity, pressure and water temperature. They have also used an acoustic Doppler current profiler. This tool helps them reveal ocean currents that pass via water columns. In this way, they can find out how it’s the water at different depths. The tools aboard the bot also measure the chlorophyll content of the water and the hydrocarbons. The chlorophyll content indicates the amount of plankton in the water while the hydrocarbons account for the oil leaks and spills. All the data recorded is transmitted to AIMS’ laboratories situated near Townsville. They use Telstra’s data network to transfer the information. This bot could replace other needed instruments that scientists use to analyze the area. Scientists conduct these tools from the shore, and they require constant recharging and maintenance. The Great Barrier Reef is still affected by coral bleaching and many marine species are in danger. All the instruments they have at sea are not as evolved as this bot. Researchers need to periodically send their ships out at sea to change their batteries and collect the data gathered in the last six to nine months. Now, they are glad that they have engineered this robot to do the job for them and avoid all that complex operation. Hence, scientists tell the bot to go the spot they want to analyze, and they ask it to swim around in a circle. Then, they are able to use their other ships and people to do other important tasks than monitor instruments. Specialists could use numerous Wave Gliders that could work in tag-teams. While one of the bots is out at sea collecting data, another one can come to replace it and send that one back. In this way, specialists can take care of maintenance. Chris Raymond is the general manager and vice president of Boeing Autonomous Systems. He indicates that the trial proves that Wave Glider may improve the methods of human-based environmental data collection. Furthermore, this robot is also cheaper and safer. Specialists have also used the Wave Glider in other situations, in different countries in the world. For instance, in 2016, the UK’s Foreign and Commonwealth Office used this bot to analyze 840,000 square kilometers around the Pitcairn Islands in the Pacific. Specialists can also attach a camera to the bot to photograph fishing vessels. If they notice any such boats passing in restricted areas, the robot can immediately report the problem and pinpoint the vessel’s location. These smart bots were also used in commercial and military settings. For example, Chevron uses a Wave Glider for its operation off the coast of north-west Australia. The goal was to establish turbidity and indicate environmental compliance. The data showing coral bleaching events in 2016 and 2017 forced specialists to engineer this robot which will survey the area and constantly measure water temperatures. Coral bleaching is the effect of climate change that triggered a sudden rise in temperatures. Hence, water temperatures also increased, and hundreds of square kilometers of corals died. If global warming effects do not seize to affect our planet, coral bleaching may continue in the future. In this way, it will become more difficult for the population of corals to recover from bleaching events. We know that the reef-building corals are extremely sensitive to ocean acidification and rising sea temperatures. 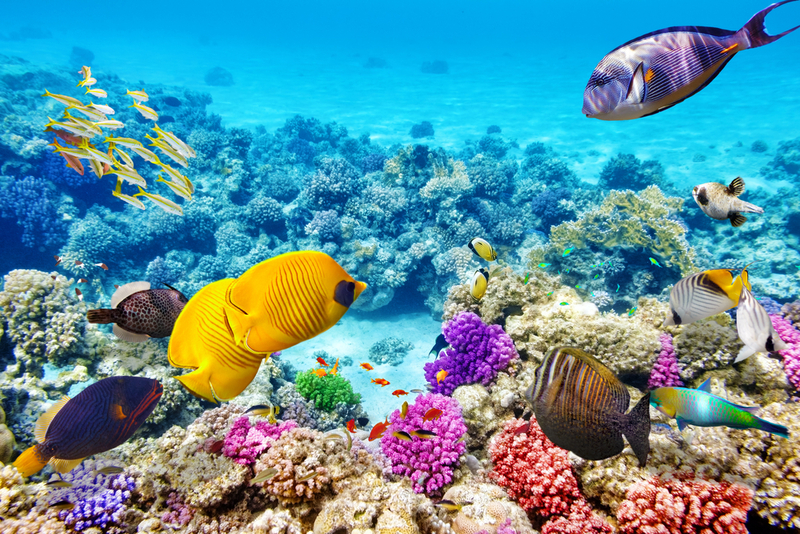 Coral reefs represent 6% of the Great Barrier Reef. However, they play a significant role here since they are a critical source of food and habitat for many other marine species. Therefore, if coral bleaching continues, many marine species will be on the verge of extinction and reef-based tourism together with the fishing industry will also be affected. Coral reefs act as barriers because they protect inshore human communities and habitats. Certain types of coral, like staghorn corals, are very sensitive to bleaching. Hence, they will suffer due to past events, and soon some coral communities will be dominated by corals which are tolerant to temperature stress. Climate change caused coral bleaching, severely affecting the Great Barrier Reef. This area is in danger due to rising temperatures and warmer ocean water. In a desperate search for a solution, scientists developed a robot. Now, this robot comes to the rescue, constantly analyzing the water temperature around the Great Barrier Reef and reporting back all the information registered.